This Moscow Mule Martini is crashing down the door of your next happy hour. 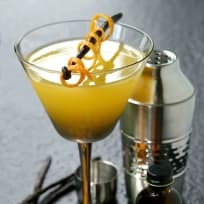 All you martini fans belly up, because this one's for you! 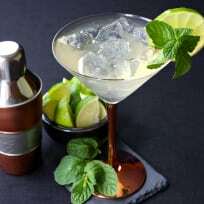 These martini recipes put a unique spin on a classic beverage. Be sure to drink them responsibly, but be sure to drink them! 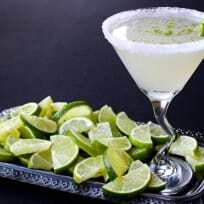 This lime drop martini needs to be on the menu tonight! Nope, no lemons this time – limes all the way! 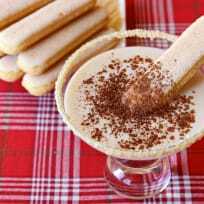 This tiramisu martini is sweet and chocolatey, with cookies for garnish. Sounds pretty perfect for a Christmas party to us. This caramel apple martini is exactly what you need today. All apple-y and caramel-y, and feeling festive! This peach martini is light and luscious, perfect for the summer season. Drink up, y'all! Make a banana split martini immediately! Skip the ice cream, because this grown up treat is even better!